Do you want a stupidly fast supercar, but need room for the kids? Can’t quite stretch to an Aston Rapide S, but don’t want to slum it in an CLS63 AMG, RS7 or M6 GC? 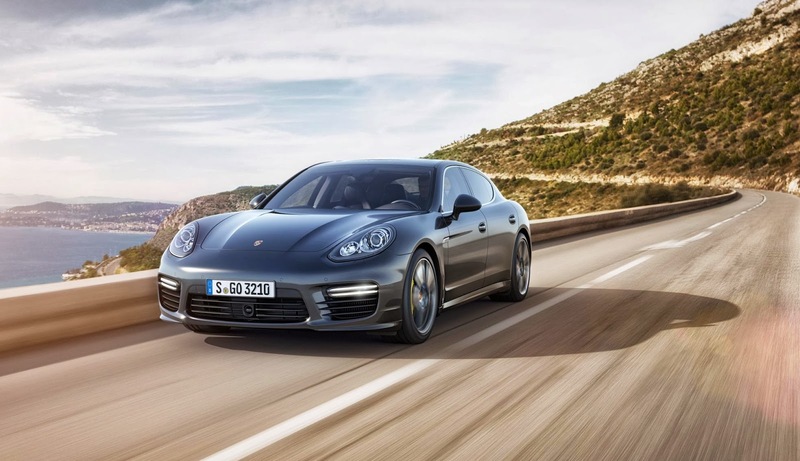 Then the new Porsche Panamera Turbo S is the car for you. As you would expect, it generates some big (and small) numbers from its twin-turbo, 4.5-litre V8 powerhouse and here they are: 562bhp; 750Nm; 3.8 secs to 62mph, 193mph flat-out, 27.7mpg (how?). All of that thundering force is contained by all of Porsche’s most advanced chassis control systems and standard carbon-ceramic brakes. When it arrives in the UK in January it’ll cost £131,049. That’s about £30-50k more than it’s remarkably similar German rivals and £15k less than the Brit. 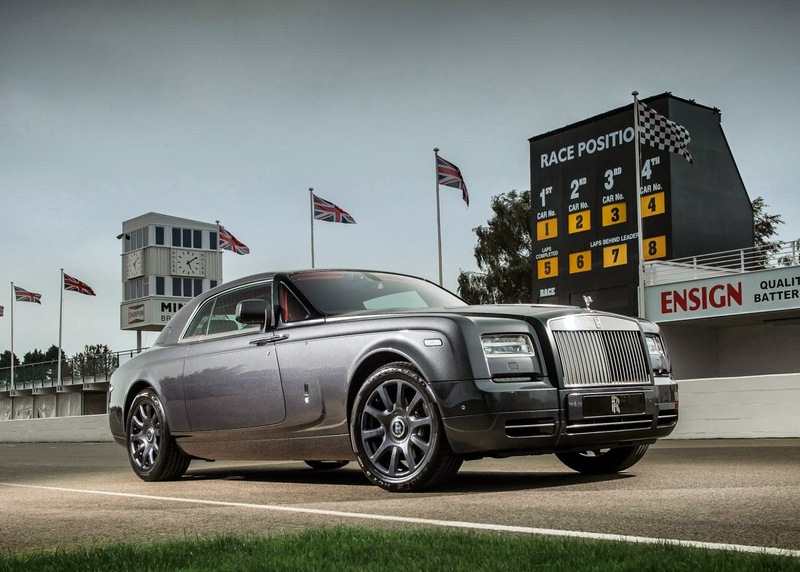 Another week, another creation from Rolls-Royce Bespoke. This time it’s the Phantom Chicane Coupe. Ordered by Rolls’ Dubai Brand Manager, it takes inspiration from the Goodwood racing circuit, right next door to the Rolls Royce factory. Racing-themed details include the matt black and gunmetal exterior with a chequered flag coachline. And the interior’s usual wood has been replaced with carbonfibre. No doubt it cost an absolute fortune, but I’d say it was well worth it. The Ford Focus was the best selling car in the world in 2012, knocking the Toyota Corolla off the top spot for the first time in probably decades. 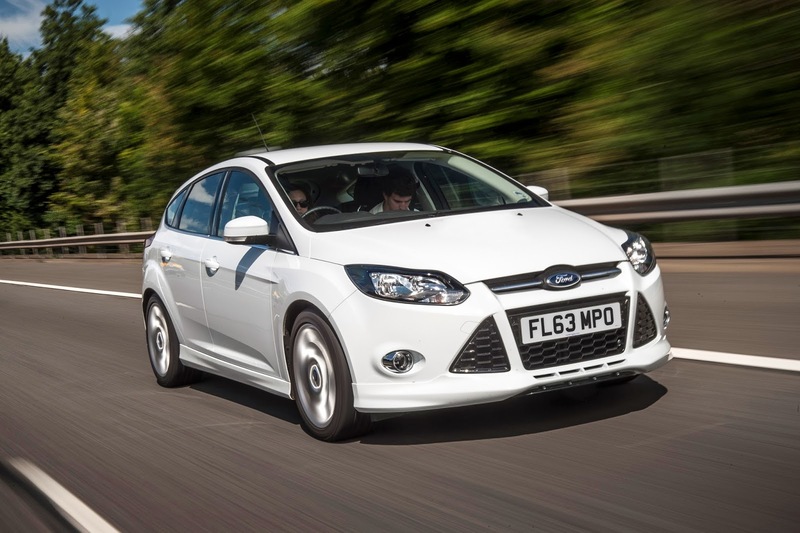 In the first half of 2013 Focus sales went up a huge 20 per cent to 589,709, with most of the extra demand coming from Asia. The current Focus may be a little blander than previous generations, but Ford’s global car strategy is clearly paying off. Good News! Of a sort. 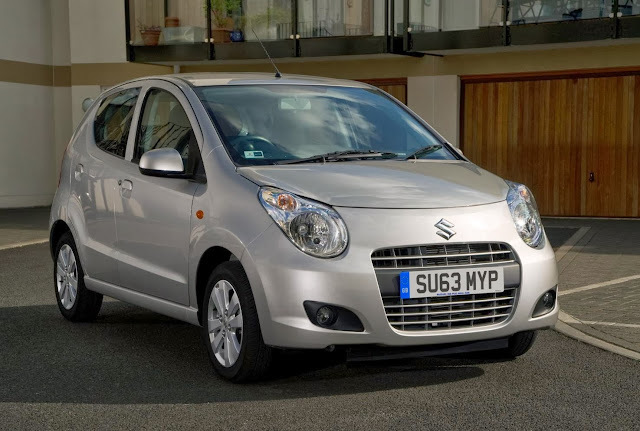 Suzuki has extended its VAT-free offer on all Alto models until the end of the year. That means the base model costs just £5,999. Which is the same as a boggo Dacia Sandero. The Suzuki is (slightly) better equipped than the Dacia, but the little Romanian has so much character it would be my choice. 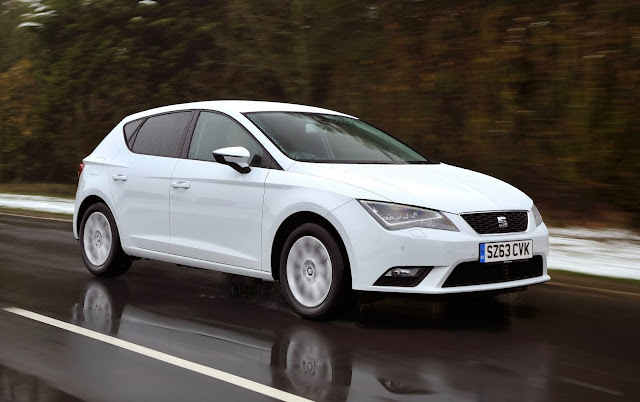 The new SEAT Leon Ecomotive is now available to order and it’s really very economical. Power comes VW Group’s familiar 110PS 1.6TDI diesel mill. But fuel economy of 85.6mpg and Co2 emissions of 87g/km are remarkable for a conventionally-fuelled mid-size hatchback. It’s not cheap at £19,360 for the three-door Leon SC version, but it does come reasonably well equipped with SEAT’s Technology Pack. The five-door and estate bodies are also available. 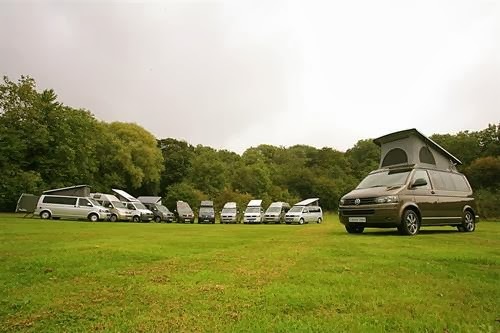 Which Motorhome has done a group test of 11 VW T5 van-based campervans. 11! And incredibly, 10 of them were built in the UK. I don’t know about you, but I had no idea there are that many firms building campers here. And I had no idea there were so many based on the T5. Last year Which tested another 12 with side-kitchen interior layouts. So there’s at least 23. Twenty-frickin’-three! Crazy-haired gag master Milton Jones is using a Jeep Grand Cherokee to drive between the remaining 20 dates of his ‘On The Road’ tour. 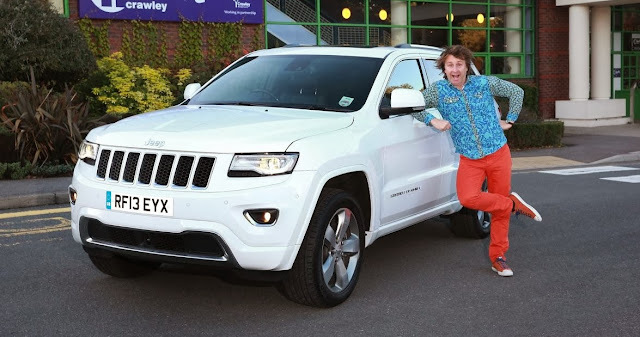 Well, I suppose it’s a bit a publicity for both Jeep and Jones. Incidentally, I drove the big GC recently and thought it a very fine car. Follow Graham King on Twitter @HeadBoltz, and visit his Facebook page.